Saginaw Bay it may be best to avoid the southern and southeastern end for a few days as the water was pretty muddy after all the rain. Walleye fishing has been very good just beyond the red Spark Plug (Buoys 11 & 12) in 26 to 30 feet. Some were doing better on blue spoons and lead core than on crawler harnesses. Walleye were still caught off Finn Road in 6 feet but muddy water may put an end to that. Fishing in the Slot has slowed but was still good for those not wanting to run how many miles out to the Spark Plug and most everyone is getting a few fish. Best spinner colors were chartreuse, pink, purple, and brass. 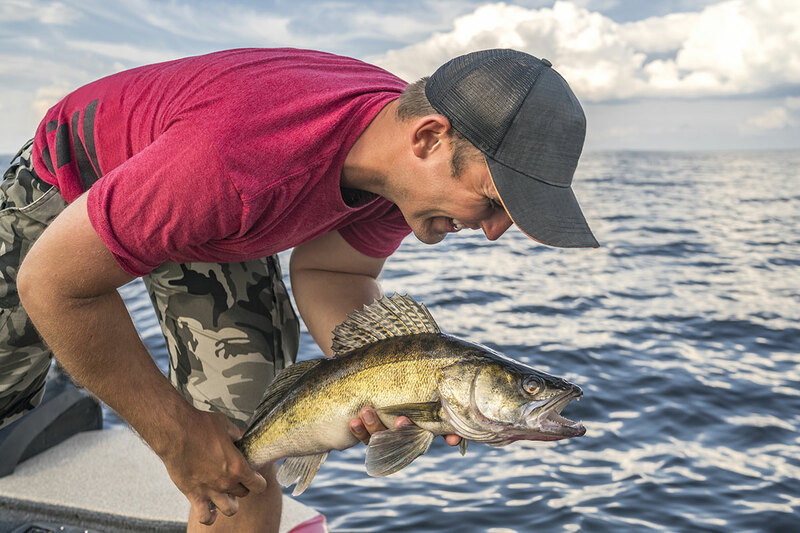 Walleye fishing was fair in Wildfowl Bay and outside the islands at Bay Port. There are fish there but you have to work for them. 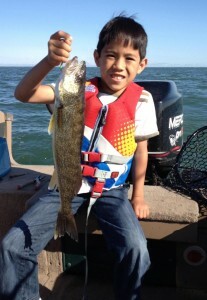 A couple walleye were caught off Caseville. Au Gres Area of Saginaw Bay had excellent walleye fishing in waters 30 to 35 feet deep. Au Gres River is producing a few catfish. Try crawlers, cut bait or shrimp. 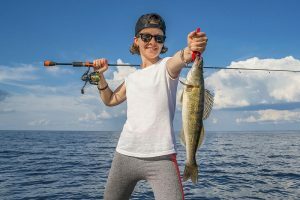 Oscoda pier fishing has slowed because of the inconsistent weather or because the fish are not making their way north in good numbers yet. Boat anglers are having a lot of success catching lake trout with the occasional Chinook or steelhead in 100 to 120 feet. Lake trout are in the bottom third of the water column and hitting on spoons, cut bait and spin-glo’s. Au Sable River anglers are still having some luck when drifting crawlers and casting body baits. 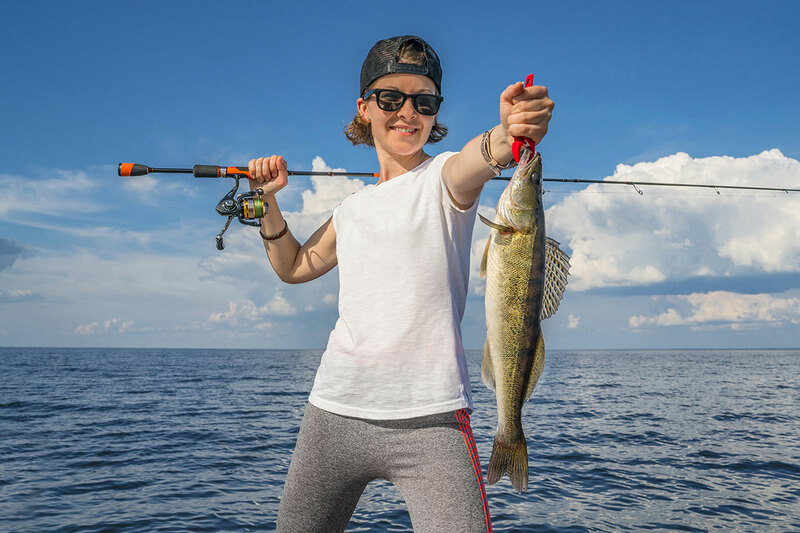 Port Austin walleye anglers have picked up some fish in the evening. Tawas Area walleye fishing was slow in the bay but those trolling in 50 to 70 feet are getting some lake trout. A couple walleye were taken around Buoys 4 & 6. Pier fishing was slow. Tawas River fishing was slow and limited to smallmouth bass, carp and gar. Many anglers eagerly await the Hex hatch on northern Michigan rivers each summer, although it’s tough to pinpoint exactly when it will happen. 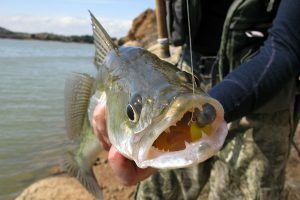 Fly anglers wait anxiously in June and July for the hatch to begin – when it does it often lasts for two to three weeks. The river and the weather are factors that impact this activity, including water temperature, length of day and water levels. It should also be noted that hatches often begin downstream and then work their way upstream. 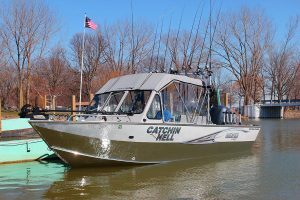 Want to learn even more about fishing where the flies are in Michigan? 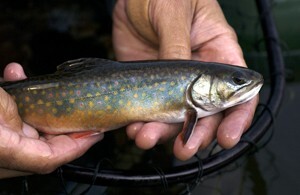 Check out the DNR’s fly fishing website.